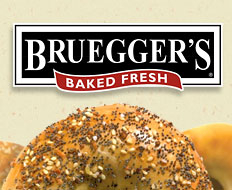 Thinking of Buying a 2014 Bottomless Mug Club Card from Bruegger’s? If you buy your card at the Sewickley Bruegger’s Bagels on a Library Saturday (first and third Saturday each month) with a coupon, 15% of your purchase will go to the Friends of the Sewickley Library. The 2014 Mugs will be for sale in October. Go to the Library’s website to pick up a coupon today. Then, every time you go to Bruegger’s with your Bottomless Mug Card, you can enjoy your free coffee or soft drink, knowing that you have made a substantial donation to help your local Library as well. That’s a feel-good pick me up that will last all year long!! Click Here to get the coupons.